Could your house benefit from an exceptionally high-quality Shaftesbury bathroom installation? If so, you need to look no further, as Franks Group are precisely the company to call. To find out more about how we can give your home a new lease of life, call us on 01747 826656 today, for the best bathroom refurbishment, Shaftesbury can offer. No matter the scale or complexity of your proposed renovations, with our expertise and experience, we assure you that you’ll be astounded with our Shaftesbury bathroom installation. We’re confident that you’ll be hard-pressed to find a company who can compare with the stellar results produced by Franks Group when looking for the best bathroom refurbishment, Shaftesbury provision. If your bathroom needs a much-needed makeover; you’ve found precisely the right company to call. As the leading supplier of bathroom installations and renovations for both domestic and commercial properties, our accredited and knowledgeable team will ensure your bathroom is installed to the highest standard. For an overview of our vast capabilities, we advise that you have a look at our gallery. You’ll have a much more concise understanding of why we’re a cut above the rest on the market when browsing through our portfolio, so its worth a look. To find out more about the premium services offered by our bathroom fitters in Shaftesbury, please do not hesitate to give our courteous and professional team a call. We’d be delighted to answer any questions or queries you may have, as well as recommend the most suitable Shaftesbury bathroom refurbishment service to help you achieve your desired objectives. 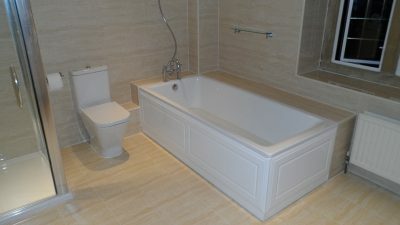 Why Choose Franks Group for Your Bathroom Refurbishment in Shaftesbury? Do you still need convincing that for the best bathroom refurbishment Shaftesbury has to offer, Franks Group is the best company to call? We suggest that you familiarise yourself with some of the glowing feedback we have received from our enviable clientele base from all over the South of England. A significant portion of our Shaftesbury bathroom refurbishment work comes from glowing word of mouth recommendations. This demonstrates our commitment to providing a superior service to from start-to-finish. With this said, we’re confident that after browsing through our case studies, you’ll have a much better understanding of why we’re second-to-none. So, what are you waiting for? 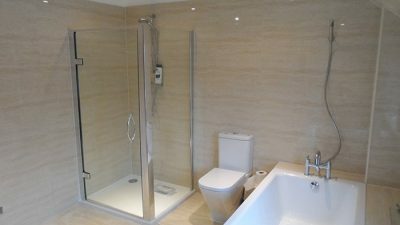 The exceptionally high-quality bathroom refurbishment Shaftesbury contractor you have been searching for is only a phone call away. Get in touch now to start reaping the benefits. To find out more about the finest bathroom refurbishment, Shaftesbury offers, as well as our ultra-competitive prices, get in touch now. Call us on 01747 826656 to register your interest for bathroom fitters in Shaftesbury.